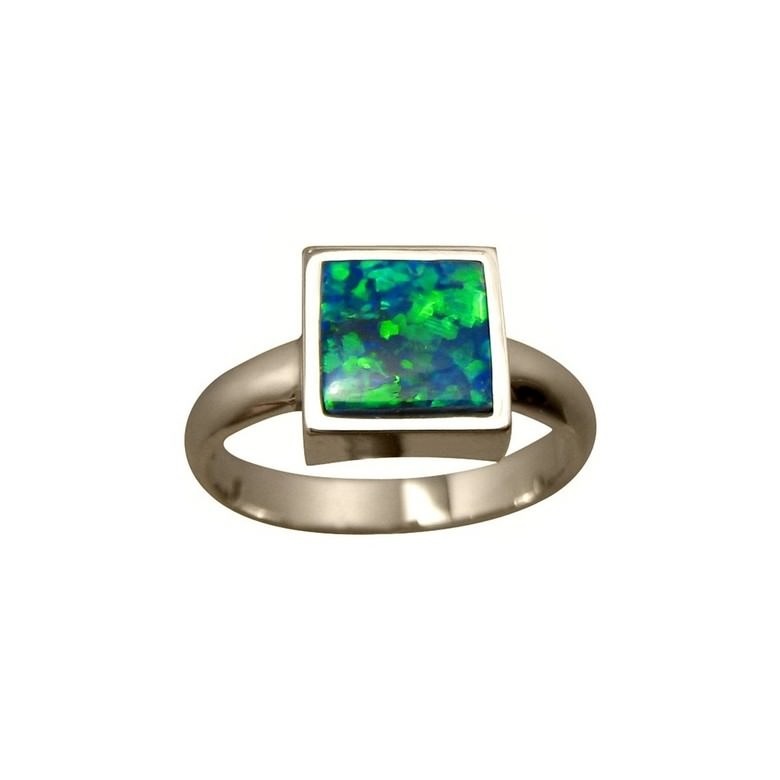 An opal ring in 14k Gold with a square cut bright Green on Blue Opal. 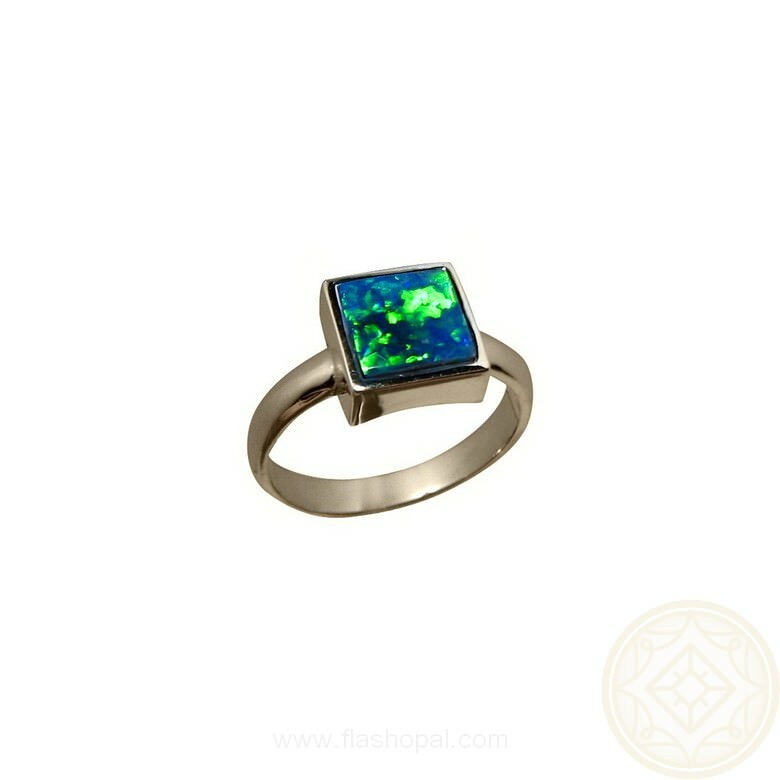 An Opal ring shown in 14k White Gold as it highlights the Green and Blue colors but can be made in Yellow or White Gold. 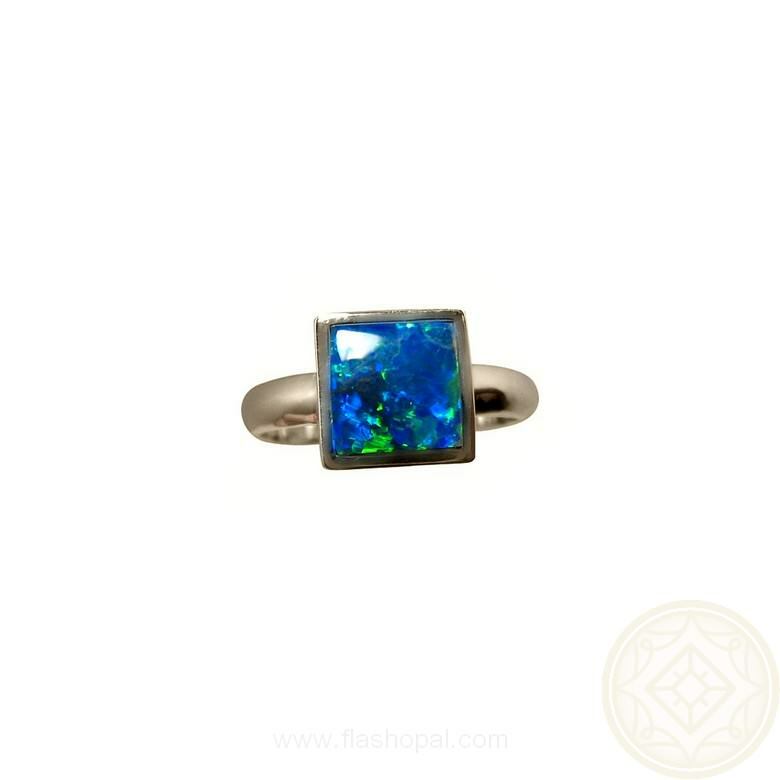 The Lightning Ridge Black Crystal Opal is square cut and inlaid with precision for minimal gaps for a weight of just under one carat. 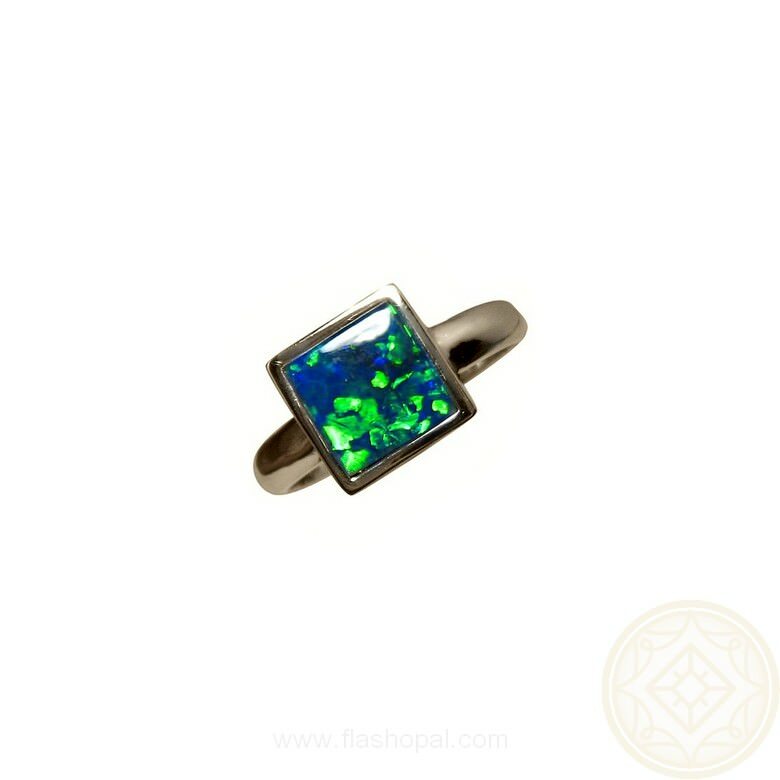 The Opal is 7 mm square and has small very bright patches of Green over the Blue and would be noticed when worn - watch the video below to see the brightness and play of color. 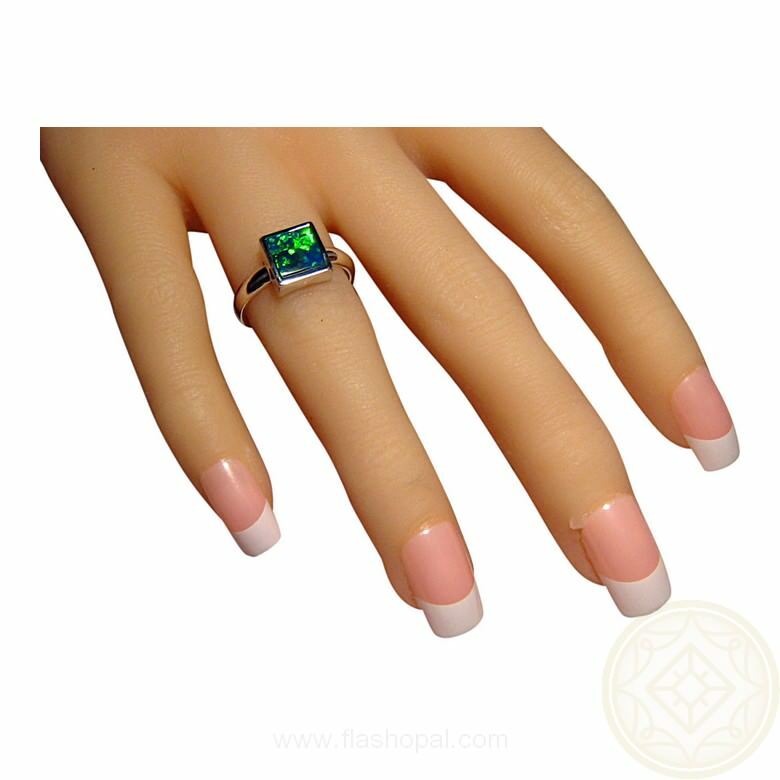 A stylish Opal ring that is Made to Order and will take about one week before images are provided for your approval to ship. 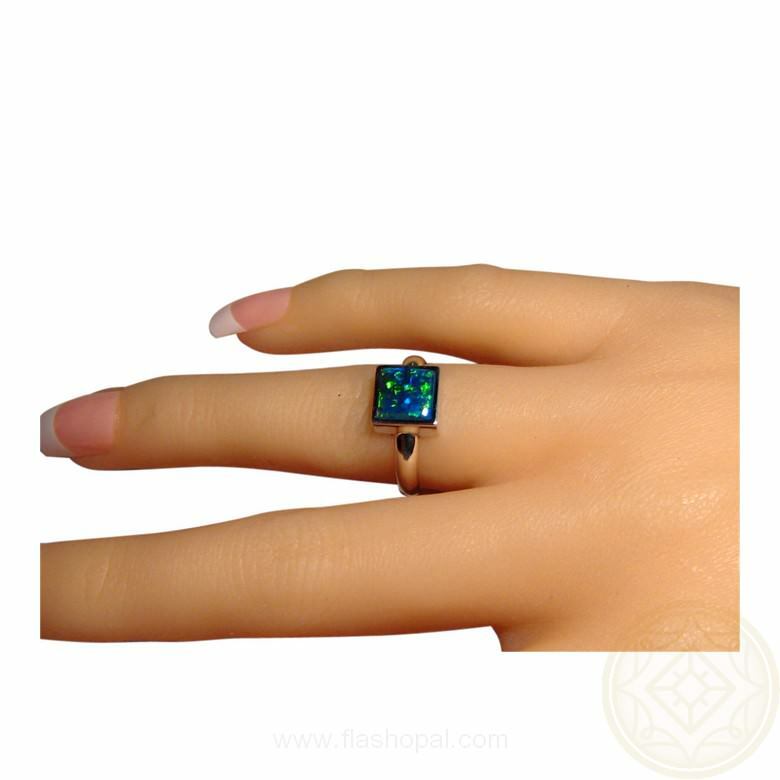 Absolutely GREAT Seller, perfect communication, on time delivery, recommended!